With many options available to the busy attorney, the Bar works to fit members into the right volunteer opportunity. For more information about these law-related educational or legal services programs, please contact the CBA at 303-860-1115. 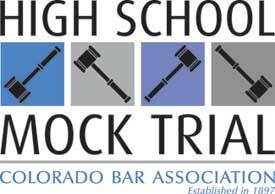 Attorney Coaches: Partner with teachers to coach students about mock trial elements and prepare a case problem for regional/state mock trial competition. Assistant Attorney Coaches: Assist primary attorney coaches with preparation of mock trial teams. Scoring Panelists: Adjudicate mock trial rounds at the regional/state tournament. An orientation and Bench Brief provided in advance. Courtroom Monitors: Monitor courtroom(s) and rounds during Mock Trial Tournament. An orientation and checklist provided.